News flash: Lots of monarchs arriving into Cape May Point today. Don't know if this will turn into a huge influx or just a big one, but it's fun either way. Thanks to Rebecca & Tori. 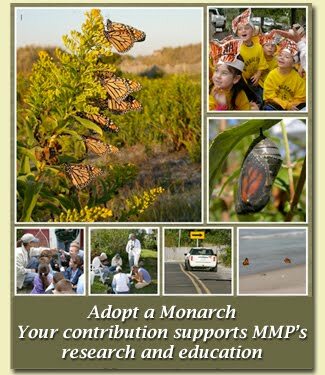 Cape May Monarchs Make the News! It's a beautiful day for some Monarch tagging!